A Doctor a day keeps the scratches away! 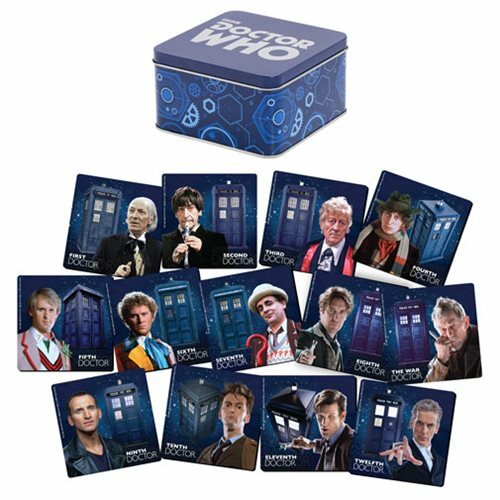 Protect your table and show your Doctor Who fan allegiance at the same time with this Doctor Who 13 Piece Coaster Set with Tin Storage Box. Each 4 1/2-inch square coaster is made of MDF and features a bold, bright image of a different Doctor, so you can use a new one every day to help keep those pesky Daleks at bay. Plus, you get a nifty tin box to store them in! It all comes in colorful gift-box packaging. Ages 14 and up.